That is, needless to say, a rhetorical question. Apart from anything else, if we were glad to be funding them, we would do so and not have money compulsorily extracted from us for the purpose. NGOs are not charities that live on voluntary donations but are provided by taxpayers’ money. This story comes via the Taxpayers’ Alliance blog, which quotes a recent report from NGO Monitor, to which they do not link. Tsk, tsk. But then, it is not always easy to do so, which makes me wonder how often NGO Monitor might suffer from hackers. A longish piece on NGOs, the EU and Amnesty International (couldn't resist having a go at them) on EUReferendum 2. Well, yes, another one, but who knows how many more. For once, on BBC Radio 4's Any Questions, Germaine Greer was actually talking sense. When she was growing up, she said, all boys carried knives – demonising them now for doing exactly the same thing is not going to work. Of that generation, I can attest that indeed we did carry knives – no self-respecting boy would go out without his trusty penknife and, my goodness, how we lusted after a Swiss Army knife! Then, out walking and camping, it was unthinkable not to be equipped with a sheath knife – I still have it to this day, almost exactly the same as the one pictured. 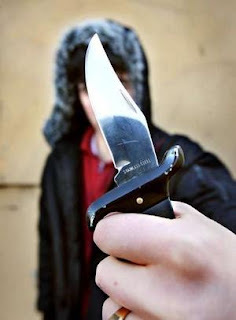 The problem is not the knife … but the intent, and a whole lot of other things but, typically, the establishment reacts by making what used to be the norm a criminal offence. This is the classic regulatory response, much beloved of our masters, whether here or in Brussels - if there is a problem, make another law. However, last year, on the not unrelated issue of youths carrying guns, I wrote this. The piece holds as good for knives as it does guns. Why the hell can't these f***wits learn that you cannot solve social problems simply by creating more and more laws, and more and more criminal offences? This morning, and currently (at the time of writing) the whole of the UK was effectively in the state of no wind generation - see real-time weather map. Our Atlantic gale-ridden West Wales coast was showing 2 and 3 mph for over three hours. There are a few 9 and 10 mph readings in E. Anglia and 12 mph at Campbeltown. Stornoway on Lewis was reading 6 mph. So much for the plague of wind factories disfiguring our landscape, now standing idle. It is unlikely that the system is producing enough power to pay-back transmission loss. We are in a situation where, probably, the yaw motors are absorbing more electricity than is produced. Meanwhile, we get a report that more than 31,000 scientists have signed a petition denying that man is responsible for global warming. The academics, including 9,000 with PhDs, claim that greenhouse gases such as carbon dioxide and methane are actually beneficial for the environment. The petition was created in 1998 by an American physicist, the late Frederick Seitz, in response to the Kyoto Protocol a year earlier. It urged the US government to reject the treaty and said: "The proposed limits on greenhouse gases would harm the environment, hinder the advance of science and technology, and damage the health and welfare of mankind." It added: "There is no convincing scientific evidence that human release of ... greenhouse gases is causing or will, in the forseeable future, cause catastrophic heating of the Earth’s atmosphere and disruption of the Earth’s climate. Moreover, there is substantial scientific evidence that increases in atmospheric carbon dioxide produce many beneficial effects upon the natural plant and animal environments." The petition was reissued last year by the Oregon Institute of Science and Medicine, an independent research group, partly in response to Al Gore’s film on climate change, An Inconvenient Truth. There is a similar lack of consensus on the utility of wind factories, and much evidence that the "dash for wind" is utter madness. Yet, while the signs of an impending energy crisis are upon us, the cretins Greenies remain united in their madness. In response to a report on the safety of MRI scanners, in today’s Daily Telegraph we get a letter from Andrew Jones, Chairman, MR Safety Working Party of the British Institute of Radiology. Sir - The proposed research into the use of MRI scanners (report, May 22) is intended to collect hard evidence that they present no health risks. There is certainly no evidence that they have any harmful effects. Indeed MRI is a very powerful diagnostic tool, which has been instrumental in pinpointing the need for treatment for very many patients. It would be sad if unfounded concerns among patients or even healthcare staff undermined clinical services of patient care. What he does not say (or is not allowed to) is that the research has been commissioned for the sole purpose of seeing off an insane and potentially lethal EU law, the Physical Agents (Electromagnetic Fields) Directive, which would – had it not been stopped at the eleventh hour - have made illegal some 30 percent of scans, needlessly endangering the health of thousands of British patients, many of them children. Thus, we wrote on 22 May, does the elephant live, this time costing an unknown sum and hundreds of hours of fruitless work, simply because the EU commission failed to do its homework before introducing totally unnecessary legislation and now needs to save face. It is not only fishermen who are protesting throughout Europe. In eight countries, including Switzerland, dairy producers have gone on strike, throwing milk away, according to Reuters (via The Guardian) and many other reports. The protests started in Germany earlier this week, when upwards of 70,000 dairy farms, out of 100,000, began to boycott dairy processing plants, complaining of low prices, down from their 2007 level of nearly 50 euro cents to as low as 27 to 35 cents per litre. An estimated 10.6 million gallons of milk — up to 60 percent of the country's production — was dumped, fed to other animals or used for fertiliser on Wednesday alone. About 150 farmers parked tractors round a dairy factory north of Hamburg, preventing trucks coming and going, at the Allgaeuer cheese factory in Kimratshofen, southern Germany, the production of Emmentaler cheese had been cut and at the Mullermilch dairy in Weihenstephan, 9,000 dairy farmers demonstration outside, stopping milk deliveries completely. The Reuters report suggests farmers are blaming the price falls on an EU decision made in April to raise national milk production quotas by two percent – but this seems to be the only report making this charge. The increase does not kick in until 2009, so it is far too early to have had an effect. Others are blaming processors and supermarkets for cutting their prices, and feeding the cuts back to farmers, but Romuald Schaber, the president association of German dairy farmers, BDM, says, "The problem is that there's too much milk on the market, which enables the supermarkets to depress the price." What is not explained is why there should currently be an oversupply, particularly in Germany, where the protests are centred. 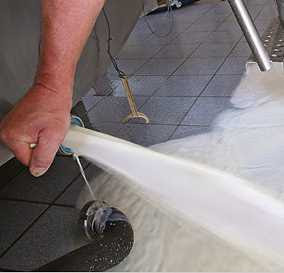 Market reports on the milk industry suggest that EU supplies have, until recently, been tight, and while production has been starting to increase, high input costs, including feed and energy, are dampening down the supply response. On the global front, current reports confirm that supply remains tight, with an Australian source reporting, "We have less milk to export, but the world market is very short of products, so we are getting very good prices for the product that we do have." There is no obvious reason, therefore, why there should be a sudden oversupply in Germany and other European countries, with farmers experiencing a precipitous decline in their prices. In fact, the reason why the EU has proposed an increase in the milk quota is to accommodate growing global demand for milk, especially from booming Asian nations. Interestingly, the price spike in 2007 was triggered by high demand from China, which was then importing one-third of the world's traded milk, increasing its imports to 298,600 tons. Furthermore, the main European exporter was Germany. Its exports that year brought in sales of €2.9 billion between January and June 2007 alone. But, in what seems a perverse indicator, Germany's national farmers' union – which is not supporting the boycott - is now calling for the EU to export more milk. There are no current data on milk exports to China but, putting two and two together – in the hope of making four – it does not seem unreasonable to surmise that there could have been a fall-off in Chinese demand. Yet this, on the face of it, would seem unlikely, as one of prime minister Wen Jiabao's targets is to increase dairy consumption. Without that, though, the current price collapse – driven by an excess of milk - does not make sense. Something is going on here. I think we should be told. Occasionally we touch on the difference between the US and British political blogospheres. In particular, we have noted that the blogging phenomenon in the US is much more vibrant and well-developed, to the extent that, across the pond, blogs have become a political force in their own right. One reason for the difference may be that the media is far less monolithic in the US – there is, for instance, no "national" newspaper in the US, so there is a great deal more diversity, leaving spaces in which the bloggers can operate. What applies to the newspapers also holds for the broadcast media, with the added difference that, in the States, there has emerged the highly partisan "talk radio" network, each station carrying individualistic agendas and interacting with the blogosphere. This, for a variety of reasons, does not happen in the UK, not least because the broadcast media is dominated by the BBC, fed by a bloated diet of taxpayers' funds, accountable to no one in any recognisable sense. And, rather than interact with the blogosphere, the predatory BBC - seeks to dominate the net, pushing its own "liberal" agenda through its vast network of taxpayer-funded websites, which it then shamelessly promotes via its radio and television programmes. Not only that, the whole operation enjoys resources that no other organisation could begin to match. The extent of that spending is brought home by a report today that tells us that, not only did the operation have a budget of £74.2 million, it massively overspent, chewing up £110 million on its online "services" last year. The Daily Telegraph reports that "cash-strapped regional newspaper owners" are particularly concerned that the BBC could take online readers away from their sites, but its own website presence – on which its business model relies – must also be affected. However, the Telegraph and the other national newspapers are also part of the problem, pushing their "clogs" (corporate blogs) for all they are worth, leaving little space for the free-lancer, operating with limited or no funds. And, unlike the free-lancers, who tend to be generous with their links and "blogrolls", the anally retentive clogs are more grudging about acknowledging sources outside the guilded circle. Thus, we see these "giants" dominate the web, setting the agenda and thereby soaking up, controlling and thereby neutralising political discourse. The independent British political blogosphere is left to pick up the crumbs from the rich man's table, lacking the force of the more vibrant US scene – less able than it should be to break up the cosy political consensus. And, the worst of it is, as far as the BBC is concerned, we pay for our own emasculation. Continuing my series of essays on the general theme of "the death of euroscepticism", in Part I, I concluded with the promise that I would look at what we needed to do to put it back on the map – to resurrect the "movement" and carry the anti-EU campaign forward. By coincidence, as I was brooding about the content of this essay, in the post came a leaflet (illustrated - click to enlarge) from that admirable organisation, the Campaign for an Independent Britain (CIB), enjoining its putative readers to sign a petition on the constitutional Lisbon treaty. The organisation, however, is admirable only for its longevity and the perseverance and dedication of its members. The leaflet itself, apart from the amateurish graphic, is a classic example of what we should not be doing. What value is there in reminding people of that which they either know already, and accept, or reject entirely? More likely though, the bulk of people who read such a leaflet – those genuinely outside the eurosceptic "loop" – may be sympathetic in a lukewarm way, but hardly driven to action. And if they are motivated to sign a petition, what then? 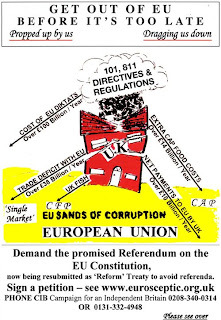 In the category of "what needs to be done," therefore, one very obvious simple suggestion is that the "movement" needs to up its game – it needs to cease and desist producing crude, meaningless leaflets and other material which, one suspects, merely reinforces the "loony" image that euroscepticism has so laboriously and expensively acquired. That, though, is only the small part of it. What comes over from this and the rest of the genre is the unremitting negativity. The EU is bad, we are told, in any number of ways, at varying length and in greater or lesser detail. In that sense, EU Referendum is a refined version of the genre. We go to great lengths, expending huge effort, to find more and inventive ways of saying the same thing … the EU is bad. So, might you say, does much of the political literature, and especially many blogs – which specialise in one way or another in saying "New Labour bad", or "Gordon Brown bad". But there is a difference. In a few years time, we will have an electorally mandated reshuffle general election. We can – and probably will – get rid of Brown and his cronies. On the other hand, there is no election, no referendum or other electoral device currently available to us which would cause the EU to be discarded. Like an elemental force of nature, it has the air of permanence. Complaining about it is rather like complaining about the weather – satisfying sometimes and occasionally entertaining, and certainly useful as small-talk. But ultimately, it gets you nowhere. That the EU is a permanent fixture is, of course, a myth – one assiduously cultivated by the "colleagues". Nonetheless, it accords with general perception. And, the human condition is such that we tend to concern ourselves with things that we can (or believe we can) change, and set to one side those that we cannot. The EU falls into the latter category. In Euroscepticism, therefore, we have turned ourselves into an institution of professional complainers, with as much political relevance as a campaign against rainy bank holidays. Thus, if negativity is our weakness, that would suggest that the antidote is the opposite – a heavy dose of positivism. Struggling with this idea, one comes to the conclusion that there may be something in this, not least because it strikes at the very reason behind Britain's entry to the then EEC and its continued membership of the EU. The point here is that the real reason for our joining was entirely negative. The push towards entry came in the wake of Suez and in the post-empire days where, to quote Dean Acheson, Britain had lost an Empire, but had not yet found a role. It was a collective loss of nerve and direction amongst the élites which drove them into the arms of "Europe", a safe haven for a political class that had lost its way. In that sense, joining the EEC was a symptom of a broader malaise, and one which continues to this day. But the safety offered by this haven has proved illusory. It has not solved any of the underlying problems – rather it has emasculated the political process as more and more powers, once eagerly embraced by our leaders, are delegated to Brussels. It occurs that the effects of this are more profound than generally realised. They can be seen by going back to the Second World War, when one saw this nation of ours addressing issues of global breadth. 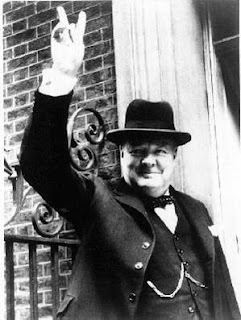 Our then leader, Winston Churchill, had little time for the petty minutia which so often preoccupies contemporary government, leaving much to Atlee and Bevan, who dealt with the home front. Compare and contrast now with the present, where so many of the issues which would have been dealt with by our leaders on a level of high policy are now in the hands of Brussels. Those leaders, therefore, have no independent dealings with these matters, and thus internalise. They look inwards, at domestic policy, those domains over which they still exercise control – the so-called "schools 'n' hospitals" agenda. Then as central government encroaches more and more on the traditional powers of local government, we see the same thing happening at local level. There, politicians and officials, shorn of any policy-making responsibilities for the big issues, micro-manage what is left to them – hence the dustbin monitors and the other absurdities that have been recorded. In effect, with the creation of a new, upper tier of government in Brussels, the other tiers have moved down a notch. Our central government, progressively abandoning action on the international stage, takes more interest in local issues. The local governments, emasculated by central government intrusion, become more and more obsessed with tiny details. Taking this as a framework, the target for Eurosceptics becomes not the withdrawal from the EU. Instead, it becomes the restoration of our central government, as a central government. The necessary consequence of that is withdrawal, but that is not the primary aim – merely a beneficial side-effect. To achieve that happy outcome, though, we have to answer the question that the élites have been evading ever since they decided to take refuge in the arms of "Europe": what is Britain's role in the world? On reflection, I have come to the view that it is the failure to address this question which has given rise to many of the ills in our society. As have our politicians internalised, so has the population. Lacking, if you like, a higher calling – the sense that there is something more to our nation than the pursuit of comfort, prosperity and a plasma television in the corner – we too have become self-obsessed, inwards-looking … and selfish. In effect, therefore, we are looking for the "vision thing" – a sense of purpose as a nation, a uniting ethos which will restore our sense of pride and reinforce our national identity which the EU has been so assiduously undermining. Simply being "part of Europe" and focusing our ambitions through the institutions of the EU is not enough, and can never be a motivating force. We need to go back out there as a proud, independent nation and face the world on our own terms. And, in order to do that, we need to shed the cloying, claustrophobic protective shell of "Europe". As to what that "vision thing" is or might be, I will explore that in Part III. In addition to The Times taking on the subject, The Daily Telegraph also picks up on Tuesday's power outages, albeit – afflicted by the need for lurid headlines – under the misleading title, "Household energy bills 'to top £1,500'". Well down into the report, we find a "meanwhile" link (very useful that word), when the paper gets to the meat. 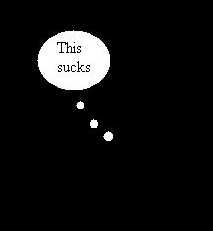 Industry experts, we are told, are warning that, "Britain's energy crisis could lead to a summer of blackouts because ageing power stations may be unable to cope with ever-increasing demand for electricity." Referring to Tuesday's blackouts, it cites National Grid claiming the events were a "freak event" caused by several "random" power station closures happening at once. Demurring is Ian Fells, the professor of energy conversion at Newcastle University. He describes the cut as "worrying", saying, "What is perturbing is that the power stations which went down are a mixture of gas, coal and nuclear, which have all failed for one reason or another. It makes you realise that the distribution system is fragile and there are more chances of power cuts this summer." With the paper suggesting that we could be facing a summer of power cuts – in part due to the growing popularity of air conditioning - we get Fell telling us that: "Any problems we have over the course of the summer will be nothing compared with what will happen between 2012 and 2015 as we start to run into power generation shortages… The Government has been sitting on its hands, but it needs to act now to build power stations which will be on-line in time to replace those scheduled for closure." Nothing, of course, is said of the effect of the EU's large combustion plants directive – the elephant in the room lives, as always – and another key omission is any discussion of the timescale. But if, as is widely expected, we see a significant cut-back in generating capacity in 2012, that is only four years away. As always, there are significant political implications here. If as is widely expected, Cameron does storm to victory at the next electorally mandated reshuffle general election, it will be the Conservatives – not the Labour government – that takes the flak when the lights go out. And it will be the prime minister of the day who is expected to have the answers. Parroting "13 years of Labour misrule" is not going to switch the lights back on. What, at the very least, the Conservatives should be doing is putting down some markers, instilling a sense of urgency into the debate which, in a few short years, will become a national crisis. We are already at the stage where we need a massive power station building programme, combined with a huge and expensive upgrade of our creaking National Grid System. Such is the scale of work required that the nation almost needs to go on a wartime footing, to stave off the crisis. The point, of course, is not that the Conservative could actually do anything but, in the fullness of time, they will be able to address a candle-lit Commons (or one running on emergency generators) and say, "We told you so", having in 2010 – days after Cameron walks into Downing Street – put into place precisely the emergency programme they had been advocating. 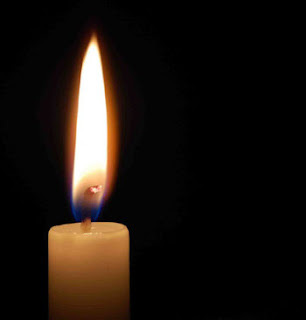 Instead, all we have from the Conservatives is their interim review, heavily dependent on Green theology, with no recognition that, a short time after they come into office, most of the nation will be reading by candle light (those that can read). And, by that time, the current strategic aim - which is "to create a level playing field to give green energy a chance" – will entirely irrelevant. It will seem to have come from some by-gone age when Greenies roamed the Earth, as relevant to future needs as the dinosaurs were to our ancestors. Sometimes we like to look around and see what other people are doing (and sometimes we just like to look around). Two items of possible interest to some of our readers. A new political and cultural magazine was launched in London yesterday with some pomp and circumstance in the Wallace Collection. It is called Standpoint and is edited by Daniel Johnson. Its aim is to fight on the side of Western civilization against its enemies as the old Encounter of blessed memory did in the three decades after the war. Mind you, I find it less than impressing that some particularly unpleasant person, helped himself or herself to my copy while I was trying to find somebody to talk to somebody else on my phone. Grrrr. The other item of interest is an e-mail from Dan Mitchell of Cato Institute in which there is a link to a new video he has made on the benefits of flat tax. Enjoy. An update on Tuesday's power outages, from The Times. It is not often that we find ourselves dealing with a story that we first reported on in July 2004, which is still running unabated. This is the eternal saga of what is known as the "VW Law", whereby German Länder maintain "golden shares" in individual enterprises – Volkswagen being one – thus preventing their take-over. 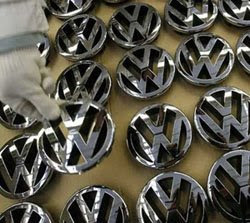 As we left it in July last year, the ECJ had ruled against the Land of Lower Saxony, after its refusal to relinquish its shares in Volkswagen had been judged in contravention of EU treaty obligations on the free flow of capital. At the time, we noted that this was challenging the core political structure of Germany, where regional loyalty is much stronger than is any feeling towards the federal government - almost a case of the irresistible force meeting the immovable object. We then also noted, in what was a highly controversial issue, the somewhat muted response, especially as it appeared that Porche was poised to take over VW, thus breaking the Saxony grip. However, in speculating that this was a case of the dog that did not bark, we spoke too soon. It seems that Saxony has not rolled over after all. Reported by AFP, it seems that, having accepted the ECJ’s ruling that its "VW Law" contravenes the treaties, Saxony did repeal the law, only to set in motion a new, very similar law. This has exactly the same effect as the old – maintaining a veto over take-overs. Predictably, the EU commission has reacted sharply, its spokesman, Oliver Drewes, declaring that, "If the current situation is formalised, the European Commission has to start a procedure for non-respect of a court ruling on this matter." "There is not room for wiggle," Drewes adds: "Basically what the commission would expect is that the court ruling is fully respected and implemented … We will now have to clearly see what the final German law is going to look like," then warning: "If it's going to look the way it seems to be then there is no other way than to go to the court again." What is so fascinating about this issue is that, for all its communautaire sentiment, Germany – or its regions – are just like the rest of us. When a core national (or regional) interest is threatened by EU law, the former rather than the latter prevails. The action of Lower Saxony should, therefore, give us some hope that the EU commission will eventually over-reach itself and confront the brick walls of irreconcilable national interests, which will bring the integration process skidding to a halt. One need not hold one's breath that the UK will be amongst those that challenging the EU. When it comes to the EU, our political élites seem to have forgotten the meaning of these words. A lament comes from the leader today in The Daily Telegraph about "town hall tyrants". The piece starts with the report that households in Plymouth are being asked to nominate an individual who will be responsible for rubbish, thus making it easier for the city council to launch prosecutions for "refuse infringements". It adds that, "Such stories defy credulity yet they are becoming commonplace", then retailing the fate of a woman was hauled before the courts for putting out her dustbin 24 hours too early. One council has deployed plainclothes investigators to snare dog walkers who allow their dogs to foul public places; another mounted a surveillance operation of which the security services would have been proud against a couple suspected of breaking the rules on school catchment areas. The paper's remedy is that these tyrants "should be voted out" – but there is another way. I hope it is not true that we are enforcing a whole set of vexatious regulations of this kind. It is absolutely contrary to logic and good sense that a person may not give away or exchange his rations with someone who at the moment he feels has a greater need. It strikes at neighbourliness and friendship. I should be so sorry to see the great work you have done spoilt by allowing these officials, whose interests are so deeply involved in magnifying their functions and their numbers, to lead you to strike a false note. "The matter must be brought before the Cabinet next week," Churchill added, "unless you can reassure me". Oh Churchill, would that thou lived now! But then, he didn't have a European Union to deal with … at least, not the sort we have now. With the new packaging tax, a planned VAT increase on petrol and diesel, and yesterday's decision to rely on the Dutch Ministry of Defense to make it's own decision concerning continued Dutch involvement in the JSF development, Dutch politicians don't seem to be any more in touch with reality than their cohorts in the UK. Despite vociferous denials that there is any conspiracy to keep all things EU out of the news, the MSM here - which now has the glorious distraction of the European Football Championships to look forward to - has been devoting to itself to anything but the EU. Like the UK though, there have been plenty of meaty domestic issues to pad out the columns - like ex-mister Herfkens and the $280,000 she was paid by the Dutch government as removals and housing allowance for her period at the UNDP in contravention of UN rules. Despite it being clearly prohibited in the employment contract she signed, she's now refusing to pay the money back because it 'would be an admission of guilt'. The poor dear didn't like staring at a brick wall in her apartment and wanted something within walking distance, but her $107,000 a year tax-free salary for a 30-hour week apparently wasn't enough for the chic area she had in mind. If she hadn't been been sacked for breaking UN rules by applying for a green card, she'd most likely be there still. The fact that the Dutch parliament are handling the proposal for a law calling for a refendum on the Lisbon treaty has therefore passed completely under the radar of the MSM and most bloggers. Because referendums are not strictly constitutional here, the Socialist Party, GreenLeft, PVV, D66 and Labour Party (PvdA) had submitted an 'initiative law proposal' for a referendum - though the results would not have been binding, only 'advisory'. Not that it had the faintest chance of succeeding, the PvdA, VVD and D66 had already backed out any committments. Today the debates were held. Each party was required to 'subscribe' for the amount of debating time they wanted to speak, and our wonderful leading coalition party the Christian Democrats (CDA) claimed, care to guess? ... 30 seconds. Tomorrow they will vote, but I wonder why they bother. Everyone knows it's a foregone conclusion. All they will be doing is going through the motions ... but here too that is what democracy appears to have become; a sham of going through the motions. Although oil prices have reached a record high, causing squeals of pain amongst the motoring community, the chances are that this is a "bubble" which will burst fairly soon, whence we will see the restoration of prices to a more tolerable level. The same "market correction" is already happening with food commodities and, as the price of oil goes down, this will have a knock-on effect on farmers' input costs, helping stabilise prices in this sector as well. Thus, if the Tories are expecting their popularity to be sustained by the current unrest stemming from price hikes in key commodities, they may be in for a shock. In two year's time, when the next electorally mandated reshuffle general election is likely to be called, price stability could be restored. The alarums of today could be a distant memory. The rub is that, if indeed the oil price is driven by speculation, then there is very little Gordon Brown and his ministers can do practically to influence price movements. But, politically, there is a great deal they can do, from which they can reap benefit. 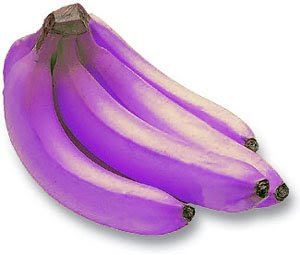 Any actions, however, will be a variation of what came to be called the "purple banana effect". This rests on the response to a rampant epidemic of infectious disease in the community, the cause of which is uncertain. In this event, the government can rely on the standard profile of an epidemic, which follows a "bell shaped curve" – irrespective of any action taken. Initially, the disease incidence will rise exponentially. It will then slacken off near the peak and, after flattening off, decline precipitously. Thus, close scrutiny of the figures can yield clues as to when a decline and fall might occur. Then, for want of knowing exactly what to do, the government can order a totally irrelevant action to be taken (such as painting all bananas purple) and wait for the decline. When it happens, credit can then be claimed for timely and effective action. In anticipation of a decline in oil prices, we can see this same mechanism at work. Today, Chancellor Alistair Darling insisted that he was "very aware" of the increased costs of fuel – "not just for families filling up the car but also for hauliers and industrialists." "The crucial thing," he said, "is for us to be taking action at international level … This is affecting every single country in the world, which is why the Prime Minister and I were meeting the oil industry today and it's why we will be taking action over the next few weeks to try and increase the supply of oil and reduce the world prices that people are facing." So – Mr Brown and Mr Darling are to "take action". It will not have the slightest effect but, in the fullness of time, they can claim credit for the oil price fall. Brown can then revel in a restored reputation for economic competence. That is the theory at least – look out for those purple bananas! With all the excitement as to what this blog will do next (where is Katy when we need her? ), I forgot to mention that tomorrow, on the anniversary of the French "non" vote to the original Constitutional Treaty and not too long before the Dutch "nee" vote, there will be a peaceful demonstration outside the Irish Embassy in London. This is part of a series of demonstrations outside Irish Embassies across the EU member states and a collated film of the events will be put on the internet to help the Irish No Campaign by showing solidarity. The demo starts at 11.30 outside 17 Grosvenor Place, which is the Embassy building. Nearest tube stations are: Hyde Park Corner and Victoria. There are buses but I never remember what they are. Do not bring your car. Nowhere to park and with so many embassies around the security is ferocious. So, if you are in or near London and have some time to spare, come along. You can combine it with a bit of shopping and it will be something to tell your children and grandchildren. Conservative Home is on the case of the plot to stop the Tories leaving the EPP group in the EU parliament. Although, in the grander scheme of things, the Tories leaving the EPP may seem a very minor issue, this is the one solid "Eurosceptic" commitment David Cameron made during his election campaign, one which was attributed to bringing the Eurosceptic wing on board. For him now to be unable to honour that commitment would have significant ramifications, reaching far beyond this immediate issue. That apart, this is in fact quite an important issue. As the EU parliament grows in strength with the constitutional treaty, the one thing the "colleagues" really fear is a Conservative Party in an independent group, able to dictate its own agenda. It would have a natural "pull" for dissidents and break up the cosy consensus that prevails. The "colleagues" have but one opportunity to pull this off before the next euro-elections, and will thus bend every rule – which they have been doing – to get these rule changes in place. Bruno Waterfield did us a great service in bringing attention to what was going on, but the real threat has yet to be fully recognised. UPDATE: England Expects offers his take on the affair. UPDATE 2: Alex Singleton on the Telegraph clog sees problems for Cameron. Last Monday I attended no less than two separate talks on, as it turned out, related topics. In the morning Michael Barone, one of the best known American political commentators, author of many, many articles and columns and of several books, most recently, of “Our First Revolution: the remarkable British uprising that inspired America's founding fathers”. Barone spoke about the presidential race in the United States, not a subject we cover too much on this blog for several reasons. In the first place, it is much written about in the main stream media, though I would not trust British journalists on the subject. They were, after all, convinced that Kerry would win in 2004, a position whose absurdity was clear to anyone who followed events in the American media and the blogosphere. Secondly, it is a subject that is widely discussed in the American blogosphere. Nothing we say can rival the extensive knowledge and grasp of detail displayed by the likes of Barone himself, Michelle Malkin, Christopher Hitchens or Mark Steyn, to name just a few. Thirdly, this is not really our subject, apart from the need to point out periodically, that there is this country in which the executive and legislative, properly separated, are both elected by the people of that country. Look upon it and despair about our own situation. No wonder people are gnashing their teeth in envy and calling for the rest of the world a.k.a. the great and the good as well as the tranzis and the NGOs to impose their decisions on the American people. Still, the President of the United States is an important person for all of us and occasionally we need to look, at least in general terms, at the process that will decide who that person is going to be. A briefing by Michael Barone is a good opportunity for doing just that. A long article on this and a talk about the idea of a League of Democracies to be found on EUReferendum 2. You might want to read it as who knows how many more there will be. 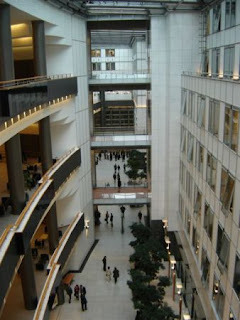 Much fluttering in the dovecotes attends the report by Bruno Waterfield on the plan by the EU parliament to "eliminate Eurosceptics as an organised opposition" – but the real target is the Conservatives. The "plan" is the impending change to the qualifying criteria to set up political groups within the parliament, raising the current threshold from 20 MEPs from a fifth of the EU's member states to 30 MEPs and one quarter. The higher barrier will have the effect of dissolving the Eurosceptic "Independence and Democracy" grouping, of which UKIP is part, but that was never the intended target – only a beneficial side-effect. In this context, is is seen as the EU parliament's response to the recent demonstrations by the ID group against the constitutional Lisbon treaty, the plan has been on the stocks for some time. But the real aim of the game is to sabotage the Conservative Party's attempt to break away from the EPP group – a central part of David Cameron's strategy to parade his "Eurosceptic" credentials. Already, the Tories have had such difficulty in meeting the existing requirements to form a separate group that they have not yet been able to make the break. Raising the height of the barrier will make it near impossible for them to do so – which is precisely the intention. Without formal recognition as part of a group, the Tory splinter would have to sit as "non attached" MEPs, alongside communists, fascists and other odds and sods – a constant source of embarrassment and ridicule. Also, they would lose out on much coveted chances to become committee chairman as well as membership of delegations and the jollies that go with it. According to Bruno, the rule change is expected to be approved with the backing of the parliament's EPP and PES (socialist), which account for 64 percent of MEPs and include the British Conservative and Labour groupings. It will be interesting to see how many Conservative MEPs vote for the change, and whether the Tories in London realise in time that they are victims of a neat bit of sabotage, especially as Timothy Kirkhope has been instrumental in bringing this plan to fruition. Tens of thousands of electricity consumers suffered electricity blackouts yesterday afternoon in what is described as Britain's worst power shortage for four years. The outage was triggered by Sizewell B, the nuclear power station in Suffolk, which was closed for "unexpected maintenance". This was followed in short order by the giant coal-fired Longannet, in Fife, which also shut down unexpectedly – one wonders whether there was any connection with this earlier incident. The failure of these two plants was followed rapidly by nine "generating units". Then, at least four other power stations suffered failures throughout the day. The Sizewell and Longannet plants provide six percent of national supply and when the other plants tripped out, the National Grid was forced to reduce power across the nation. This was not sufficient, however, to prevent power cuts across parts of London, Kent, Cleveland, Merseyside and Cheshire. According to The Times, a National Grid spokesman admitted that the number of shutdowns was highly unusual and one power company insider said that such an incident had not happened in the past ten years. More importantly, analysts are warning that said the shortage of power was symptomatic of under-investment in Britain's energy generation infrastructure and indicative of its current fragility. This is underscored by David Porter, chief executive of the Association of Electricity Producers. He says that more investment was desperately needed over the coming years to prevent more regular problems in the future. He anticipates of a generating shortfall of 35,000 megawatts by 2020, but problems are expected even before 2014, by which time we will have closed down the nuclear and coal-fired power stations that now generate 47 per cent of our electricity. The coal-fired plant closures are being forced by the EU's large combustion plant directive – flagged up by The Daily Express recently. The largest independent energy consultancy, McKinnon & Clarke, is reported as calling on the government to build new power stations to reinforce the crumbling infrastructure. This, of course, the government cannot do without contravening EU state aid prohibitions. In the meantime, the government's obsession with wind farms soaks up money and costs us a fortune without contributing anything significant to the Grid, while no decisions have yet been made on building nuclear power plants. Yesterday, therefore, was a taste of things to come. Many experts in the generation sector believe it is a miracle that we have not suffered major outages until now, and fully expect more to follow. One cold winter, some believe, will bring prolonged power cuts. It cannot be said, though, that this is entirely the fault of the EU. Once again we have the poisonous combination of EU action and provincial government inaction, the two in harness guaranteeing to make a bad situation worse. That generator is looking even more desirable, while anyone looking for an investment opportunity should consider candle manufacturing. One of the enduring mantras of the "soft" Europhiles (aka Eurosceptics) is that "Europe is going our way", towards a more liberal, market orientated structure. And no more so was that supposed to be true than with so-called free-marketeer Nicolas Sarkozy, the new French president. Thus, it is instructive – if not entirely unexpected - to see Sazkozy immediately reach for the subsidy pot when faced with rebellious fishermen complaining about rising fuel costs. 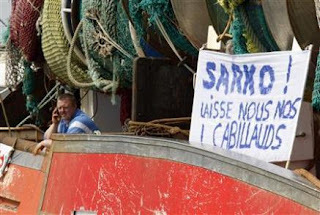 According to The Guardian, the Sarkozy's fisheries minister is now planning to ask the EU to change state aid rules to the fisheries sector, extending fuel subsidies already in place - €110 million so far this year. 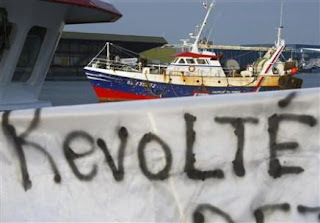 All the fishermen had to do to get this concession was blockade the ports, disrupt traffic on land and sea, and block the fuel depot of France's largest oil refinery – terrorising a few British leisure craft owners into the bargain - while the French police, as always, stood idly by. Nor is Sarkozy on his own. He is backed by Italy, and possibly Spain, who will be going to Brussels with him to petition for a lifting of the rules. French fishermen, at the moment, are paying a mere 40 euro cents (30p) per litre as opposed to the 70p, going on 80p that British fishermen are paying. The problem for the French fishermen is that, under current rules, any member state may only pay €30,000 to each of its fishermen each over three years, and the sudden hike in diesel costs has pushed them over the limit. Surprisingly, the only publicly dissenting voice is Jaime Silva, Portugal's agriculture and fisheries minister. He is saying: "This reality (of high oil prices) cannot be avoided by new measures that do not solve the problem. High oil prices affect everybody: farmers, fishermen, industry and ordinary people." He adds: "People have to adapt and improve their competitiveness. They could modernise boats and diversify. Not just catch the fish but transform fish to sell it in a different way. That is the way to improve the competitiveness of the sector - not subsidies." Sarkozy is unimpressed. His latest move is to ask for a general moratorium on the payment of VAT on fuel, something for which he will need the assent of the other 26 EU member states. He is unlikely to get it. In an earlier post, I promised a series of essays exploring why euroscepticism failed and what we need to do about it. This is the first. Before embarking on the subject, though, I must thank all the forum posters, those who e-mailed us and Daniel Hannan, Tim Montgomerie and Tony Sharp for their good wishes and comments. I should stress, though, that while we are considering winding up EU Referendum, that is because that issue – the idea of a referendum – is dead and buried. This means our title is confusing and misleading, which also suggests it is time to move on. We are thus thinking in terms of a name-change and a change of style, widening our scope beyond EU issues. As to the thesis of this post, based on the premise that "euroscepticism" is dead, we really need to define the term. For the purposes of our argument, we take the "extreme" view that this encompasses those who wish to extract the United Kingdom from the European Union. There is no equivocation here: we use the term to describe those who want to leave the EU – not those who would want to "renegotiate" our position, or who would like to see the EU "reform", reshaping itself in a way that is more acceptable to the British, or some such. Neither, in our view, are in any way likely or even possible. The guardians of the "project" have not come all this way to water down their creation, or give up their hard-won advances. And, if "renegotiation" was ever on the cards, a necessary precursor would have to be a commitment to leave the EU, which means that those who are really serious about seeking a new relationship with the EU though this means must first accept the essential precondition. Leaving the EU would, in any case then require a negotiation – or "renegotiation" if you prefer – in order that we are able to maintain relationships with our neighbours, which rather makes arguing for renegotiation redundant. It follows necessarily, but only if we quit. Addressing now the chosen thesis, I would maintain that, in the foreseeable future – and for many years to come – there is no prospect whatsoever of the UK leaving the EU. I see no likelihood of a newly elected Conservative government seeking to do this, and of course, there is absolutely no possibility of the Brown government even thinking about it. To that extent, euroscepticism is dead. It is a movement without an achievable goal and, furthermore, the goal itself does not have any widespread popular support. Put the in/out question to a referendum and the near certainty is that the vote would favour staying in. One of the reasons why the majority of people would most likely decide for the EU is the famous TINA – there is no alternative. Like it or not, the EU provides innumerable "services", without which the UK would have difficulty functioning. Furthermore, outside the EU, it would have enormous difficulties rebuilding and establishing working relationships with the rest of the international community. For better or worse, most would say, we are stuck with our current arrangements. Another reason relates to the "teaser" offered in the earlier post. Big business, I asserted, loves the EU. In evidence, two links were provided. The first reported: "UK businesses back EU expansion". This piece retailed that "some of Britain's biggest companies are backing the enlargement of the European Union", arguing that the economies of Eastern Europe provide lucrative growth opportunities - and they want more of the same. These businesses included the advertising giant WPP, life assurer Aviva and steel group Corus. The other link referred to a report of a conference where "European power companies" called for harmonised EU safety rules on nuclear power plants. Any amount of evidence can be produced to the effect that "big business" supports our membership of the EU. For sure, some would like to see "reform", or "tweaks" that would adjust its rules in their favour, but none would support the proposition that we should leave the EU. And, of course, big business equals big money – and influence. In any referendum campaign, or generally, money talks. The money would be talking for continued membership. One more reason why sentiment would not favour the exit route is the extraordinary level of ignorance about the EU – and in particular the amount of damage it does – contrasted with those who believe that, for all its disadvantages, the EU does offer the UK some benefits. 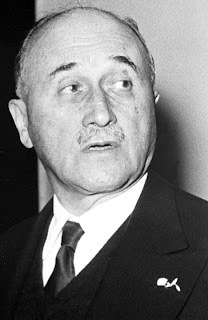 Typical of the latter genre are many Conservatives, who sincerely believe that the Single Market is "a good thing", entirely unaware or unwilling to accept that this is a major instrument in the process of economic integration – the essence of the "Monnet Method" from which stems political integration. Much of this fantasising about the Single Market rests on the uncomfortable fact that it was on Margaret Thatcher's watch that the Single Market Act was passed into UK law. The Thatcher worshipers have difficulty coming to terms with the fact that she was responsible for one of the most important steps towards integration the Community has produced. Serious students of EU history will know that, in accepting the Single Market Act, Thatcher was comprehensively hoodwinked, and that the treaty itself was part one of two, the latter part being the Maastricht Treaty – the genesis of modern euroscepticism. If you are against Maastrict, however, to be intellectually consistent, you must also oppose the Single Market Act. They are but one, in the march to political integration, of which the constitutional Lisbon treaty is the latest instalment. Yet, such is the profound, wholly untutored ignorance of the reality that we can read of "the moderate Euroscepticism of Thatcher 1979-86 - which was very productive from the British point of view, delivering us a rebate and the Single European Act." Against such ignorance, there is no defence - it is so absolute that it cannot even begin to understand how wrong it is. It is complete in itself, needing no sustenance or evidence, and brooks no counter-argument. It is beyond rationality, reflecting an article of faith which drives much of the Conservative tribe, sustaining its "soft" Europhilia which masquerades as Euroscepticism. Yet, unfortunately, it is to the Conservatives that we must turn for any hope of leaving the EU. Hope there is none. And here, the most powerful reason comes into play. Returning to TINA, what few people even begin to realise is the depth and complexity of our entanglement with the EU. After 36 years of membership, imbibing fifty years-worth of integrationist measures, our administrative and legislative systems are so interwoven with the EU that to remove them would be equivalent to dealing with a metastatic cancer with a surgeons knife. In theory, it could be done – but it would almost certainly kill the patient. This is actually what presents itself to anyone who has seriously examined the reality of leaving the European Union. If team Cameron ever get down to such an examination, its thinkers will come to the same conclusion. They would also discover that, such would be the complexity and political capital expended, it would neutralise the political process for years to come, entirely frustrating any attempts the Conservatives might have to develop a distinctive domestic agenda. So fraught with risk would be such a process that, wisely, any sensible politician (i.e., one who wishes to remain in office) would run a mile from it. That is not to say that the complexity could not be addressed and overcome, but the word means what is says. Complex is, er … complex. To come up with a well-founded strategy for leaving the EU – and thus replacing the web of EU policies with distinctive national policies of our own – would take a massive amount of work, requiring a huge team of experts familiar with every aspect which the EU touches. That work has not been done – there is no likelihood of it being done in the immediate future. Yet, unless and until the British public (and the politicians) can be offered a reasoned and better alternative to the EU, like it or lump it, TINA lives. For sure, we can continue telling everybody how ghastly the EU really is. But those who care enough about the subject know that already, or believe it even if they do not know it as fact. The majority of people, though – confronted with the reality of leaving the EU, and what that entails – would accept the status quo, simply on the premise that any (unformed and unspecified) alternative could only be worse – and infinitely perilous. It is in that context that Euroscepticism has met with the poison which will finish it off. We have spent decades telling everybody how awful the EU is. Most probably, the bulk of people believe us – even the soft Europhiles of the Conservative Party. But we do not have the capability to take the next step – to push the intellectual boundaries and offer realistic, fully developed alternatives. Worse still, most do not even accept that there is the need to do so. To conclude this first part, therefore, I will refer to what I would aver is essential reading for anyone with any interest in military history – but with surprising relevance to contemporary politics. Gort's decision to evacuate his army at Dunkirk saved the BEF. He may not have been a brilliant army commander … But he was able to see with absolute clarity that the French high command were utterly bankrupt of realistic ideas and that consequently Allied plans would lead nowhere, and he had the moral courage and unwavering willpower to act in the face of censure and criticism, thus ensuring that the BEF was saved. There are few occasions when the actions of one man can be said to be instrumental in winning a war. This was one of those. Had the BEF been surrounded, cut off and forced to surrender, it is inconceivable that Britain would have continued to fight without an army. Faced with an unwinnable battle, therefore, Gort did the only sensible thing. He cut and ran – the precursor to rebuilding and re-equipping a damaged army. With new allies and against a weakened enemy, his successors were thus able to return to Europe and comprehensively defeat the Nazis. 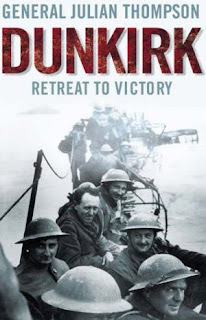 I have in my mind's eye a parallel between Dunkirk and the constitutional Lisbon treaty. Both represent major defeats, the one for the BEF and Britain, the other for Euroscepticism (and Britain). In the former event, the defeat was turned to victory by Gort's retreat. My thinking is that we must do the same – retreat, rebuild and rethink, ready for the long battle that our successors must fight. We are not going to win it, and if we continue the way we are doing, we risk the same fate that would have befallen the BEF had it been rash enough to stand and fight. If Sun Tzu and Clauswitz both maintained that one of the most important military rules is, "Don't reinforce failure," I am merely following that advice. We need to retrench and rebuild. We need to "retreat to victory". Precisely what we need to do to, I will discuss in Part II. The Press Association runs a story today on the increase in the number of cocaine users admitted to hospital, which has "more than quadrupled in eight years". Official government data show there were 740 cocaine-induced health emergencies in 2006/07, compared with 161 in 1998/99. Natasha Collins, a children's television presenter, died in January after bingeing on cocaine and alcohol and falling unconscious in a bath of scalding hot water. The 31-year-old's body was found by her fiancé, Mark Speight, also a television presenter, the morning after "partying" with her on cocaine, sleeping pills, wine and vodka. Earlier (on 23 May) The Sun had also focused on the "celeb" aspect of this issue, using rock star Amy Winehouse as a foil, writing that she was "not just wrecking her own life in a blizzard of cocaine". The Colombian government, the paper claimed, said the star's drug habit — and those of thousands more Brits — was laying waste to their nation. This harks back to this story which was also carried by The Daily Telegraph on 23 May, reporting the destruction of rain forest by the Colombian drug cartels. Then, readers will recall, Francisco Santos Calderon, Columbian vice-president, complained that part of the problem was the EU's Common Agricultural Policy. "If our farmers and our peasants were able to export to the European Union without the tariffs and without the barriers," he said, "we would have a farming sector that would be more competitive and a lot of peasants would not go into drug-growing." However, that was on Friday and today is Monday. The corporate memory of The Telegraph does not stretch that far back so today's story plops out in isolation, with no reference to the article written so long ago that it is now a distant memory. But, of course, the stories are linked. Apart from the broader issues of drugs policy – whether they should be legalised, etc., etc., - one acknowledged control mechanism is to deal with the supply end, cutting back on the amount of the drug available. On the one hand, Mr Santos complains that his farmers, unable to export produce to the EU, resort to coca growing as a means of bolstering their income. On the other, we also know that farmers get paid a relatively small amount for growing coca. The big profits are made by the processors and the middle-men. Ergo, it stands to reason that a benign policy of permitting Colombia to export high value agricultural products to EU member states, and directing aid towards encouraging land reforms and marketing infrastructures, could have a very significant impact on the flow of cocaine to this country. Arguably, the costs of such a programme would be less than the economic damage cause by the drug – with the beneficial side-effect of reducing the damage to virgin rain forest. But, hey ho! We do not have a policy on Colombia. Aid and trade negotiations are channelled through the EU – part of its external relations portfolio. For the 2001-2006 period, the EU pumped €105 million aid into Colombia, including financing "regional and local authority peace laboratories" – and another €160 million has been earmarked in the period 2007-2013. In 2004 alone, European aid was €420 million, with nearly 40 percent contributed by the EU. This was topped up by member states, German giving nearly 20 percent, but Britain weighed in with considerably less than one percent (0.31%). Crucially, though, while the EU claims that 64 percent of Colombia’s exports to the European Union are already completely exempt because of the tariff reduction granted under the "most favoured nation" arrangement, the big exceptions are bananas, meat and sugar. 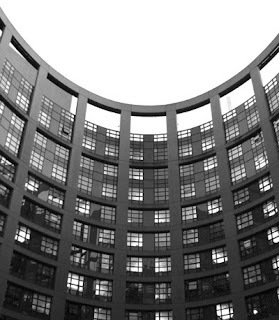 As regards its external dimension, Community policy aims to ensure a high level of protection for the health, safety and economic interests of EU consumers. The implementation of this principle is perceived by some third countries or economic sectors as a non-tariff trade protection measure that obstructs the access of some products – mainly agricultural – to European markets. The EU response to this is to "support compliance with technical rules on national products, so as to promote their marketing both nationally and internationally." But there is no way it going to reduce what are very often irrational and overly complex rules which, in fact, small producers can never actually meet. So, while European money pours into Colombia, very little of it addresses the main economic issues. The result is that legitimate trade (as a percentage of GDP) between Colombia and EU member states is actually falling (and agricultural products drastically so) while, as far as we know, the flow of drugs is increasing – in line with the destruction of the rain forest. Yet, as a recipient of this flow of drugs, there is absolutely nothing the UK government can do to interrupt the source. We cannot intervene, as the programme is managed by the EU. Nor can we unilaterally open our borders to Colombian produce, as we are bound by EU trade agreements – which are the basic cause of the problem. Wearily, we remark that nothing of this will get into the pages of our loathsome newspapers, and neither will we see any of our provincial politicians argue that, to deal with the drugs problem, we must instigate our own bilateral arrangements with drug-producing countries. This is yet another example of the dead hand of the EU – but one, as always, we mustn't talk about. The IHT is telling us something we already knew (and wrote about in early April) that the EU commission is keeping a lid on controversial decisions until after the Irish referendum on 12 June. The view that Brussels has been gripped by a go-slow is shared widely, the paper informs us, citing an anonymous "EU diplomat" saying: "We all know this is happening, but we are all denying it - so you won't get me saying anything on the record." By the time this EMU denouement plays out, Ireland will have voted. Lisbon will probably be law. The euro-elites will have prevailed. But history will not be kind to the venture. It is one thing to nudge the European Project forward by stealth - the "Monnet Method" of fait accompli. It is another to impose a treaty that has already been rejected by people in a direct vote, as the French and Dutch did by emphatic margins in 2005. We are witnessing Europe's Prague Spring … the moment the EU loses its legitimacy. Yes, the system endures. The tribes acquiesce. But the idealism is draining away. Can anyone really claim that the Lisbon Treaty is rooted in the democratic assent of the French, Dutch, British, Danes, Swedes, Finns, Poles, and Czechs? We have the spectacle of Gordon Brown refusing to sign the treaty in public because of the potent danger it poses to his Government. A British prime minister slinks away to a private room to commit Britain to an arrangement that alienates the powers of Parliament - in perpetuity and perhaps illegally - knowing that his people would vote 'no' by crushing margins if given a chance. "How on earth did we arrive at such a sorry state of affairs?" he then asks. Although obviously rhetorical, Ambrose could benefit from reading the IHT report. This is further evidence that, when it suits it, the EU commission can disappear under the horizon to the point where it is all but invisible. Given that the media and domestic politicians are then quite happy to "conspire" with the commission in keeping EU affairs out of the headlines, people tend to remain unaware of what is happening. And, when the chatterati then focus on the soap opera of politics, instead of the substance – in obsessive detail – what little news about the EU which does escape is drowned out. Look, for instance, the huge amount of coverage devoted to speculation about whether Gordon Brown is going to be replace as prime minister, before the next general election electorally mandated reshuffle. Despite the fact that Brown is and always was going to stay in post until the next election, coverage of the soap opera has totally dominated the political "news" ever since last Thursday's by-election. Now compare this with the coverage of the Irish referendum or, for that matter, the debate on the British referendum (not) in the Lords. Therein lies something of the answer to Ambrose's question. It is a good question … and it needs more answers. In his column today reports how British farmers are facing a potential bill of £6bn bill for an "asbestos clean-up" which the country's leading independent experts say is wholly unnecessary. This, once again, is another example of the dire combination of EU law (which lumps harmful blue and brown asbestos in the same category as white, which poses no measurable risk to health) and the enthusiastic intervention of British officials – in this case the Health and Safety Executive. Writes Booker, until two years ago white asbestos cement could still be disposed of by burying it or using it as rubble for farm tracks. But since 2006, farmers have had to pay up to £400 a ton to have it removed to a hazardous waste site (95 per cent of which have been closed down under an EU directive). A study has shown that more than 50,000 farms have buildings containing asbestos cement, many of which will have to be replaced in coming years. For an average quantity of 300 tons, the cost of disposal would be £120,000 per farm - and the total bill about £6 billion. The costs arise from the huge scam perpetrated by asbestos removal contractors, who profit hugely from the HSE/EU intervention. But what is particularly dismal about this whole affair is the refusal of either the rest of the media or the opposition to get engaged in what is very clearly a scandal. Already, an untold amount of money – most probably over £100 million – has already been wasted on this scam, affecting buildings like the Albert Hall, as well as thousands of industrial and domestic buildings yet it is only Booker, from his ghetto in The Sunday Telegraph, who has really pursued the story. This adds to my pessimism over the fate of the eurosceptic movement. There could not be clearer evidence of the lack of harm associated with white asbestos, and the nature of the scam being perpetrated. Yet, if neither the media nor the politicians are prepared to engage, what hope is there for the bigger issue? Euroscepticism is dead. It is not official yet, and the putative corpse is still breathing. 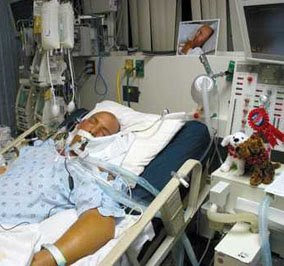 If it was a human being, it would be on life support, showing no brain activity. The relatives would be gathering round, discussing when to switch off the machine and whether any of its organs could be suitable for donation. Through these coming weeks, I intend to run a series of posts exploring why we are about to be confronted with a corpse, why euroscepticism failed and what we need to do about it (interspersed with our usual fare). Then, at a suitable moment, we may consider winding up EU Referendum. The blog was started in the heady days of 2004 when we thought we might get a referendum on the (then) "Constitution for Europe". But, with the certain ratification of its replacement, the Lisbon treaty – with or without Ireland - and no prospect of a referendum, our job is done. As politics descend into the realms of the soap opera, increasingly divorced from reality, we end on the low note of abject failure. I have not yet discussed this in detail with my co-editor, but the writing has been on the wall for a while. We will probably migrate to another blog (or blogs), perhaps dealing with a wider range of issues, reflecting the direction this blog is already going – and has been for some time. This would also present the opportunity to devote more time to Defence of the Realm. I would like to develop it further as one of the very few blogs seriously discussing defence issues – at a time when the media seems institutionally incapable of dealing with the subject in an adult manner. As a taste of things to come – the subject of the first of my essays - look at this and then this. Big business loves the EU… discuss. One must assume that some of our readers may have noticed my absence from the blog in the last few days. The truth is that I was spending my time in the fifteenth century and found it hard to show interest in the twenty-first. All right, I shall explain. The Royal Shakespeare Company brought their much praised Histories cycle to the Roundhouse and this was the last week-end of their performances. I started with Richard II on Thursday evening, watched the two Henry IVs on Friday morning and afternoon and, having already seen Henry V separately, spent Saturday on the Henry VIs or the Wars of the Roses. Richard III I am giving a miss. It is a worse play than the others, considerably less accurate and a travesty on a very capable man and reasonably good king. Actually, it is quite a good idea to spend some time with Old Will, who knew far more about politics than most of us will ever manage. If you want to learn about it go to Shakespeare’s plays, Macbeth or the Histories by preference. What is to be done with an Archbishop of York who leads rebellious troops? How to sort out nobles whose quarrels prevent victories in France? How to tell if one near to you is plotting your downfall? It’s all there in those plays. Furthermore, if you want to know about propaganda, then the Tudors should be your masters. Their ability to create an image of themselves as the rightful rulers who rescued England from chaos and tyranny is supreme; their calumny of the Yorkist kings is unrivalled; and their creation of the evil hunchback Richard, the usurper who drowned England in blood and killed his nephews in the Tower is unmatched. The truth is considerably more complicated. The Yorkists had a far better claim to the throne; the Lancastrians were rebellious usurpers and the Tudors had no claim at all, which explains their frantic search for legitimacy. Blood did drown England for decades but it is hard to apportion blame between sides in a civil war. Even Shakespeare, consummate Tudor propagandist that he was, found it hard to make the Lancastrians righteous. If anything, the series is mostly on the Yorkists’ side. Henry V, the great hero, is extolled but shown to have severe misgivings and is as ready as his father to execute those who fight for the rightful heir and to imprison said heir. The two Yorkist kings were able men, talented administrators, generous to their opponents, once on the throne, and popular in the country. Even my school textbooks acknowledged that most of the administrative reforms the Tudors boasted about were started by their two predecessors. Of course Shakespeare does not say that. Edward IV is a wanton carouser and Richard is evil, evil, evil, which makes that last play a poor one. There is no interest in pure and unexplained evil. What of Richard Crouchback, that deformed imp of Satan, the image created by Henry VII’s Archbishop of Morton (of Morton’s Fork fame or infamy), Polydor Vergil, Henry’s court historian, Sir Thomas More, Henry VIII’s courtier until conscience smote him and William Shakespeare, whose play may not be good by his standards but is still better than anything written by his rival dramatists? Sadly, all untrue, even the fact that he had a hump. No evidence, not in contemporary writings, not in that astonishing portrait in the National Portrait Gallery. He was an able and courageous soldier, a skilled administrator, particularly in the North of England while his brother was king, a fond father and dutiful husband, popular with the ladies (several illegitimate children) and a well-loved king who was brought down by plots and a foreign invasion. What of those princes? Well, there was doubt, widely accepted about their legitimacy and having a child on the throne of England would not have been a good idea. See Richard II and Henry VI. But murder? The evidence is inconclusive and points to Henry VII as much as Richard. There is some evidence that they outlived Richard and Henry would have been much more anxious to get rid of them as he married their sister (all that Shakespeare accuses Richard of York of wanting to do). Furthermore, as history books used to say coyly (as near as I can recall from memory), it was the settled policy of the first two Tudor kings to rid themselves of all who might have had rival claims to the throne, particularly of surviving members of the York family. In other words they deliberately carried out mass murder through judicial means (mostly). Many of those they got rid of were children so a couple more princes would not have made much difference. Yet it is Richard whose name has, despite the best efforts of historians, remained a byword for infamy. There’s spin for you. Eat your heart out, Alistair Campbell. Back to the twenty-first century with normal service resuming. In fact, better than normal has been recently. Did you know that secret plans to set up a single European police force are being drawn up in Brussels? This is the claim made by The Sunday Express today, a move which, says the paper, could see foreign police officers patrolling our streets. Details of the plan, we are told, are buried in documents detailing the European Commission's budget proposals. They show the Commission is to fund a study on "the feasibility of and obstacles to the creation of a federal police force for the EU". As we already known, the EU has set up the Europol organisation to encourage greater co-operation between national police forces. But, the paper claims, the latest plan would replace Britain's localised system with one controlled from a single place, probably Brussels. This is a deeply alarming development. Responsibility for policing must remain in the hands of national governments, not a European force that is not accountable to the British public. The Government must stand up for British interests and make clear their opposition to this proposal at the very outset. No doubt, some will be comforted to learn that our shadow home secretary is on the case. But what case is he actually on? Will the Commission … provide details of any study which EuroPol has ever made "to discover the feasibility of and obstacles to the creation of a federal police force for the EU"? The Commission does not favour undertaking a feasibility study on the creation of a Federal Police Force because it fully supports EUROPOL in the performance of its present mandate and backs the developments under way which are geared towards ensuring that EUROPOL is fit to meet future challenges. The Commission fully shares the views of those who think that Europol should be a police agency aimed at gathering and disseminating police information in support of the law enforcement agencies of the Member States rather than an agency with coercive powers. It intends to submit a proposal recasting Europol as soon as possible. 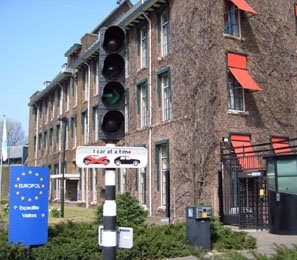 There are many reasons to be highly suspicious of Europol (which, incidentally, has its headquarters in The Hague, not Brussels - pictured) – not least this one. But the one thing which is not going to happen is a single European police force, federal or otherwise, patrolling our streets. The EU does not work that way, preferring to work through existing agencies, controlling them rather than replacing them. This, is its own way, is far more dangerous than having "foreign police officers patrolling our streets". The end game is to have our own officers, still in local uniforms, but working to an EU agenda. However, the myth is much more fun than the reality, and the media can always rely on a willing "talking head" politician to back up its fantasy.